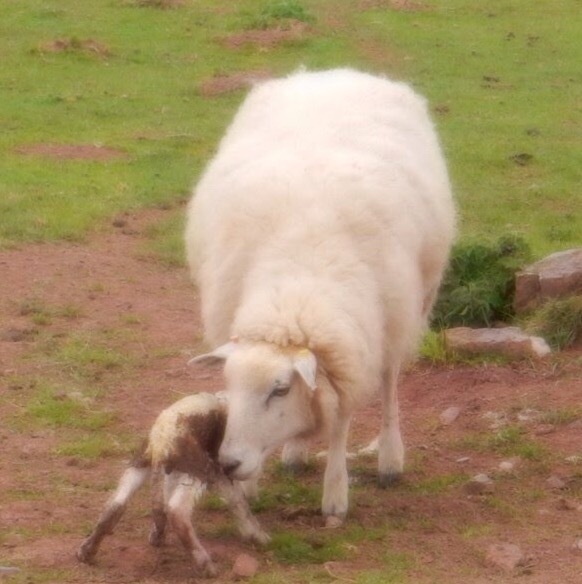 Walking through a field the other day I saw this sheep that had just given birth to a lamb. It put me in mind of this passage of Homer (though he was talking of cows rather than sheep). Menelaus, the war loving som of Atreus, did not fail to notice that Patroclus had been overcome in battle. He went trough the front ranks, armed in gleaming bronze and stood over him like a mother stands over her calf, giving birth for the first time, whining, knowing nothing of childbirth, so fair haired Menelaus stood over Patroclus. Πάτροκλος Τρώεσσι δαμεὶς ἐν δηϊοτῆτι. ὣς περὶ Πατρόκλῳ βαῖνε ξανθὸς Μενέλαος.